Welcome to the latest issue of our weekly roundup of news from the TV and film industry. NAB 2019 is just around the corner and since the Alexa Mini LF announcement last week new product announcements have been coming in fast from various manufacturers. 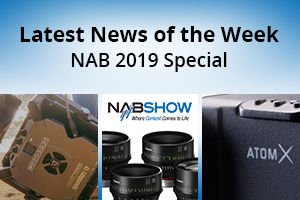 This entry was posted in NAB, News and tagged Atomoa AtomX, Canon Sumire Lenses, NAB 2019, Fujinon Premista series, Canon XA55, Canon XA50, Canon XA40, Titon Batteries, Canon on 5th April 2019 by Visuals. 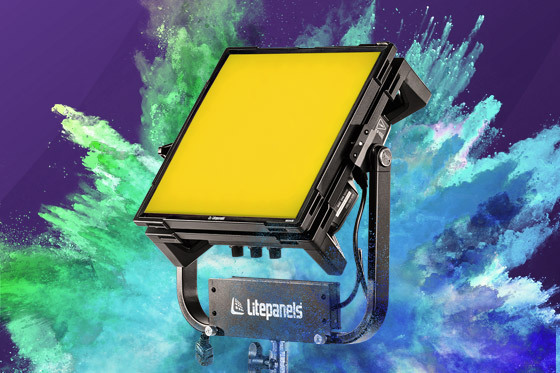 This entry was posted in NAB, News and tagged NAB 2019, Titon Batteries, Anton Bauer Titon Battery range, Litepanels Gemini 1x1 RGBWW Soft Panel, Litepanels Gemini 1x1 soft, Anton Bauer, Anton Bauer batteries, Litepanels on 3rd April 2019 by Visuals.